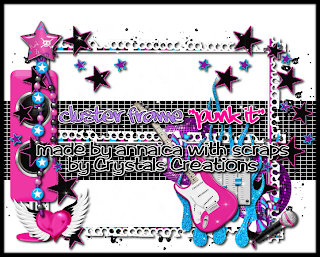 Here is a tag I made and below is the tutorial on how to make it in Gimp. 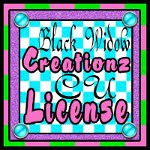 I am using an exclusive tube by Selene Vargo, called Wild Amelia, which is from www.picsfordesign.com and you must have a license to use the art downloaded from PFD. 1. Open the tube of choice, duplicate and scale one layer to 440 x 509 and move to right side of canvas. Make the other large layer invisible by clicking the little eye next to it in the layers box. Create a text layer with the copyright symbol, artist's name and website. Name the layer copyright. Delete the white background layer and the copyright layer that came in the PSD download. Within the next step we will work with the larger version of the tube. then go up to EDIT>CLEAR. Right click on the copy of element 5 in layers box and select MERGE DOWN. Ok, merge the two large tube layers together then go to COLORS>DESATURATE. Duplicate the layer, go to FILTERS>RENDER and choose LINE NOVA with the presets, click OK. Change the mode of this layer to OVERLAY. Mode is at the top right of layers box, where the drop down arrow is. Paper 11 (right click, add alpha channel)- Right click on the frame that we made in step 2 and ALPHA TO SELECTION then click on paper 11 to make active, go to SELECT>SHRINK by 4 then SELECT>INVERT and EDIT>CLEAR. Make this layer be right above the frame layer. Add drop shadow by going to FILTERS>LIGHT & SHADOW>DROP SHADOW with settings at 3/3/6 to all layers above the frame except Paper 11. Also add it to the frame. 4. Drag and drop the mask into the canvas, duplicate and flip. Position so both sides are visible in the outer limits of the frame. Then merge the two layers together. Go to COLORS>INVERT and LAYER>TRANSPARENCY>COLOR TO ALPHA. Then right click and ALPHA TO SELECTION. 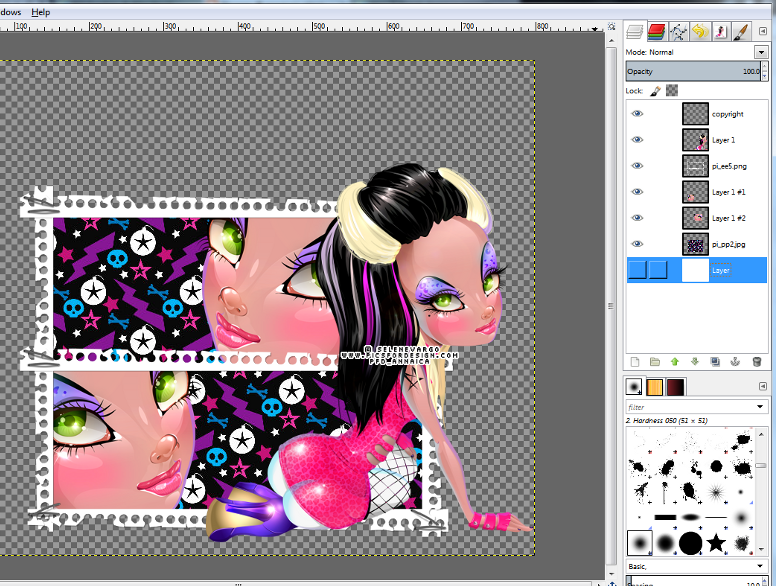 Click on the paper 8 layer in layers box to activate, go to SELECT>INVERT and EDIT>CLEAR. The paper is now the mask so you can delete the original mask layer. 5. Add text to your tag, I used a font called KG Ways to Say Goodbye in black, right click ALPHA TO SELECTION then up to SELECT>GROW by 2 and filled a new transparent layer with a gradient of pink/purple. Just click and drag upwards then unclick to make the gradient appear the way you like. This may take a few tries, but practice makes perfect. Add noise by going to FILTERS>NOISE>RGB NOISE with correlated checked only and settings at 20/20/20/0. Again, SELECT>GROW by 1 this time, fill another new transparent layer with white. Add drop shadow with same settings as above.